Dee Rees’ “Mudbound” is one of the best movies of the year. It’s also the best movie Netflix has released to date. The ensemble cast is terrific, but Jason Mitchell proves he’s one of the best up-and-coming actors working today. Writer-director Dee Rees has been a shining star in the independent film world for years now, having given us movies like her striking debut feature “Pariah” in 2011, about a black Brooklyn teenager struggling with her gay identity, and the 2015 HBO biopic “Bessie,” about legendary blues artist Bessie Smith. But it’s her latest movie that will make her a known name in the mainstream. 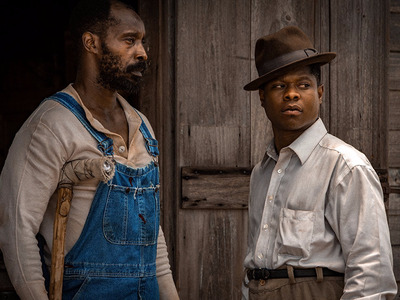 “Mudbound,” which received high acclaim at this year’s Sundance Film Festival before being snatched up by Netflix for $US12.5 million (it will play in theatres and be available on the site Friday), is a gripping work that looks at life on a rural Mississippi farm in post-World War II America. But it also contains themes of race and class that are sadly still very relevant in today’s world. 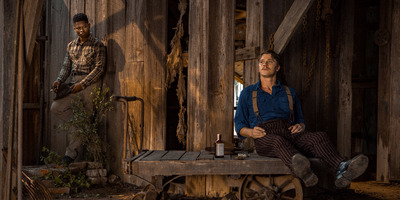 The movie is fuelled by its perfect cast — which includes Carey Mulligan, Jason Mitchell, Jason Clarke, Garrett Hedlund, and Mary J. Blige — rich cinematography, and tender screenplay cowritten by Rees and Virgil Williams (adapted from the Hillary Jordan novel of the same name). It opens on a Mississippi farm with brothers Henry (Clarke) and Jamie (Hedlund) digging the grave for their recently departed father (Jonathan Banks) in the middle of a downpour. Jamie has cuts and bruises on his face, while Henry is conflicted about burying his father among the chains and bones of slaves they have uncovered while digging the deep grave. We aren’t aware of the significance of any of these things, or why the black family in a carriage that Henry waves down to help with the burial looks so upset at him for asking. But in the next few hours it will all make sense. 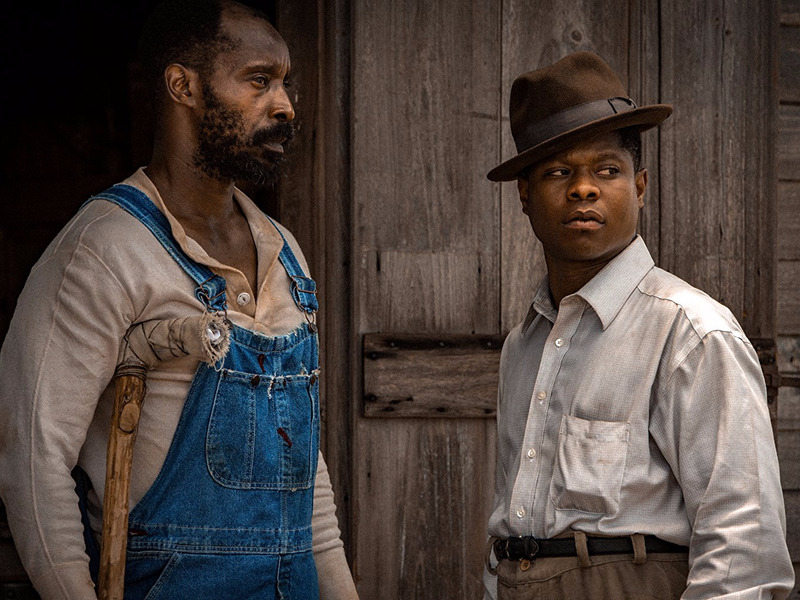 “Mudbound” is a story about dreams that go unfulfilled, and how hatred that goes back generations can’t be mended by a single friendship. But mostly it’s about family: for one character it’s all he has, while for another it’s what he’s been trying to run from his whole life. The two families the movie centres on are the McAllans and Jacksons. Henry McAllan, his new wife Laura (Mulligan), and his father Pappy (Banks) have all packed up and moved from the city to Mississippi to become farmers. Just down the road, Hap Jackson (Rob Morgan), his wife Florence (Blige), and their kids try to build a life of their own with their cotton crop, working on land McAllan owns. This part of the movie is heightened by the work of character actor Rob Morgan, known best for his roles on Netflix shows “Luke Cage” and “Stranger Things.” He plays Hap as a proud man struggling to make a better life for his family, though all he knows is back-breaking work on the farm. Preaching in a half-built church on Sundays, and then tending to his cotton the rest of the week, we feel his pain through his heartbreaking voiceovers. One touching voiceover on the worth of a deed — playing on the word’s dual meaning as a “good deed” or a “deed” to land — is delivered in a way by Morgan that will leave you with goosebumps. The story then shifts abroad to the family’s boys battling in World War II. Jamie McAllan (Hedlund) is a pilot and Ronsel Jackson (Jason Mitchell) is a tank commander. Both see a lot of awful things, and lose buddies, but Ronsel also realises that on the field of battle, and to those he’s liberating, the colour of his skin means nothing. However, Jamie and Ronsel’s bond grows even stronger. The two sneak away to have mid-day drinks and talk about the war. Ronsel even reveals to Jamie that he’s learned that he has a child back in Germany from the woman he fell for over there. But things turn bad when Pappy realises Jamie and Ronsel have been hanging out, leading to the appearance of the Ku Klux Klan and some very tough scenes to watch. Hopefully Netflix plays somewhat by the rules to give “Mudbound” a chance to be eligible for Oscar consideration because it is pound-for-pound the best movie Netflix has released so far in its existence.